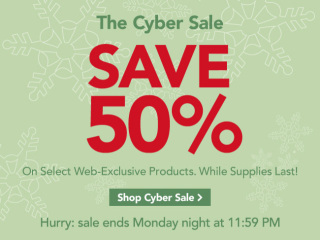 Cyber Monday Pet SalePetSmart's Cyber Monday Sale started early and it is on as of now. Petsmart is offering 50% off almost 500 select items. You can see the sale items here. There is also free shipping on all orders over $49 or free if you have a Shoprunner account. 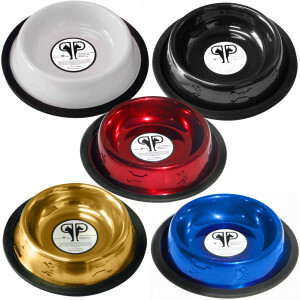 One great deal is on these Platinum Pets Non-Tip Stainless Steel Dog and Cat Bowls. These bowls come in a large variety of colors. You can see all of these bowls on sale here. These coupon codes stacked with the items on the Cyber Sale offer some great deal opportunities. For those who want multiple coupons, make sure to print to pdf so that you can print multiple copies. If I see any additional great sale items, I will update the post so please check back later in the week. Also, if you see any great sale items, please share them in the comments below. See anything that you know is a really great deal at PetSmart's Cyber Monday Sale? See also my article on the Best Cyber Pet Deals from Amazon.